New Directions Graphic Apparel is a family-owned and -operated company offering high-quality screen printing, embroidery, Direct to Garment (DTG) printing and more. 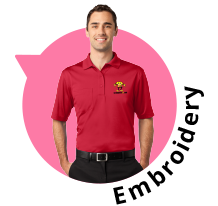 We customize and sell custom clothing, promotional items and other print products for businesses throughout the Sacramento, CA region. 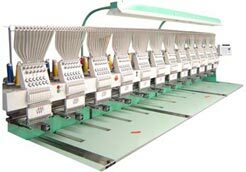 We specialize in screen printing, Direct to Garment (DTG) printing and embroidery. Let us create products you’ll be proud to distribute. Founded in 1982, our business is a seasoned veteran in the print products industry. Our team has nearly over 100 years of combined industry experience. We’re a full-service graphics and screen printing company, also offering in-house design for customers who need it. We’re proud to maintain an A+ rating with the Better Business Bureau (BBB) and always strive to uphold our reputation for excellence. For more than three decades, New Directions Graphic Apparel has been providing high-quality custom clothing printing in Sacramento, CA to all types of businesses and private customers. Our team specializes in creating screen printed graphics, embroidered clothing and Direct to Garment (DTG) printing. We offer each of our clients the opportunity to design their own distinctive custom clothing through our art design studio software. As a family-owned and -operated company, we pride ourselves on our competitive pricing and friendly, personalized service. You can always depend on us for tremendous attention to detail and impeccable craftsmanship. We offer a comprehensive range of printing and custom clothing-related services, making us your one-stop-shop for custom clothing and promotional items. In addition to screen printing and embroidery, we also offer clothing accentuated with rhinestone and stud designs, direct-to-garment printing and more. 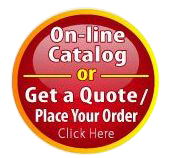 Need custom promotional items? We do it all, including vinyl signs and banners, decals and more! If you aren’t able to produce original artwork, take advantage of our high-quality, in-house graphic design services. We’ll furnish you with graphics and imagery that’s fit for beautiful screen printing and custom embroidery in Sacramento, CA. From the design to the finished printed results, we guarantee products that will go the distance in representing your brand and message. 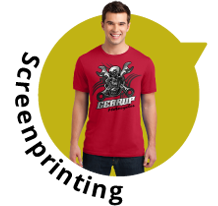 If you’re ready to order high-quality custom goods, reach out to New Directions Graphic Apparel today. We’ll produce products you’ll love to offer to your customers!